Doubles tennis. Simply termed and insinuates the obvious. In this type of tennis competition there are a total of four tennis players involved. In other words, doubles is two vs. two competition. Two tennis players combine forces to compete as a team challenging another team of two on opposite ends of the tennis court. Which is more challenging, singles or doubles? This is argumentative and at times an endless debate due to the various opinions and obvious factors. In my opinion, competition is competition in the sport of tennis, but there is an obvious clear-cut difference in the dynamics of the game when competitors compete in doubles tennis. Since there are two tennis players on a team in doubles (compared to one tennis player on a team in singles) an individual tennis player has less court to cover making it less demanding, but not necessarily less challenging than singles. Most of the are applicable in doubles tennis, but there a few exceptions. First and foremost, the court size is wider. The boundaries are extended from side to side to the doubles sidelines. This includes the alleys between the singles and doubles sidelines on the court. Keep in mind though that the doubles tennis court boundaries are only in play after the ball is served. 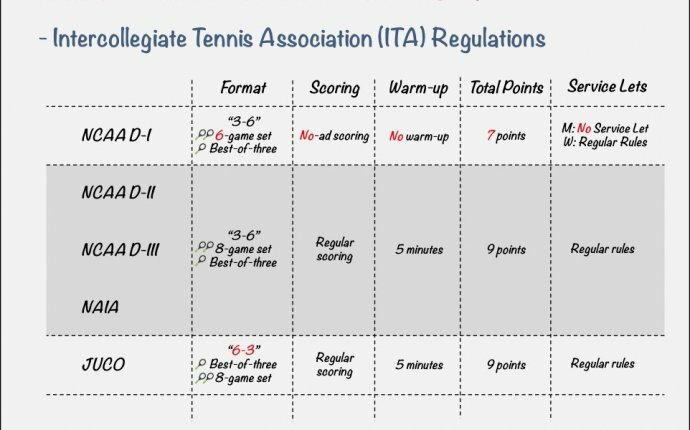 Serves rotate from team to team, but instead of a two player rotation (singles) a four player rotation (doubles) is noted and maintained throughout a set. For instance, let’s say competitors A and B (Team 1) are playing a set against competitors X and Y (Team 2). Player B is serving first on Team 1 and Player X is serving first on Team 2. It has been determined that Team 2 is serving the first game in the set. The serve continues to rotate - X, then B, then Y, then A, then X, then B ... for the entire set. Simply put, each player rotates to serve every fourth game until the set is finalized. In the set(s) that follow, teams can decide which player will serve first for their respective team and establish a new rotation. Strategic game play comes into play, but my advice is to let the best server on your team serve first.